Inspired by the legendary 507, the Henrik Fisker designed Z8 is a truly thoroughbred supercar of the modern era. This example is finished in the color combination of “all black”. Very few of these cars were built with black exterior, interior, and soft and hard tops making this an ultra-rare car. It spent most of its life in California in the care of its original owner, and has had but two registered owners from new. It is in museum quality condition, with no accidents or paint work ever, and has covered just 3900 miles from new. Virtually every item furnished from new by BMW is retained by this car including: the factory hard top, hard top stand, hard top cover, hard top tool, tonneau cover, wind deflector, factory supplied keys and leather Z8 embossed key case, first aid kit, tool roll embossed with Z8 logo, owner’s manual pouch with books, navigation cd’s, cup holder insert, factory supplied Z8 cell phone, and the seldom seen factory supplied Z8 50-jewel Swiss wrist watch with original storage case! Also included is the original factory delivery letter on BMW letterhead to the original owner along with the engine compartment oil dipstick tag! 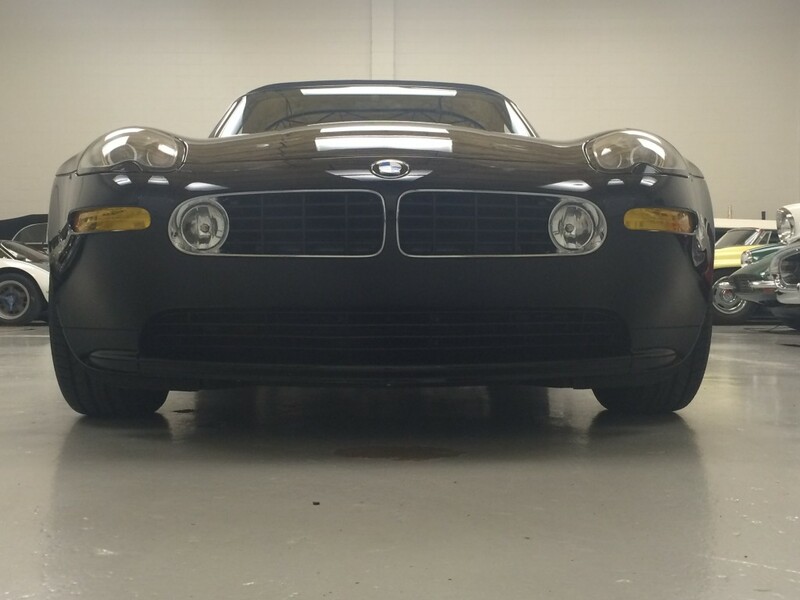 If you are seeking a future preservation class concourse eligible Z8 you will likely not find a finer example. 63 Fuelie underwent an exhaustive “body off” restoration back in the 90’s & has travelled less than 1,000 miles since. This car was featured at one of the NCRS Top Flight meets in Florida where Zora Duntov(father of the Corvette) & Larry Shinoda(designer of the Sting Ray) were in attendance & autographed the underside of the hood attesting to the quality of this wonderful automobile. 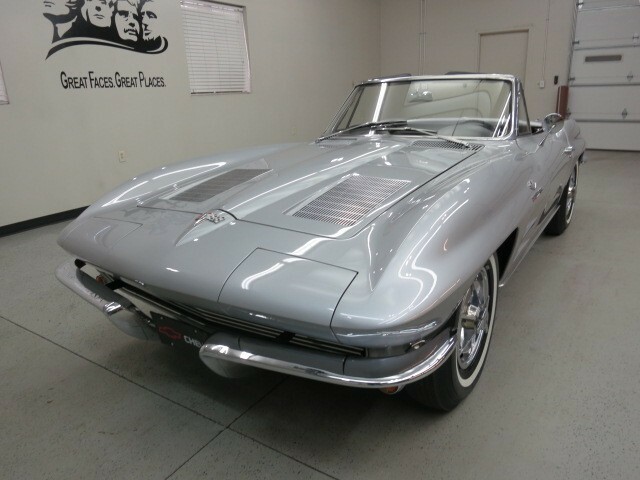 This Corvette came along at an opportune time as we had just recently parted with the “book end” 1963 Sebring Silver Split Window Fuelie that had been part of our collection for many years. Now the barn is overfull again, & it’s time to “thin out the herd” a bit. A spectacular example that is ready to drive cross country or participate at the top of the mountain at any Corvette event!!! This very special “recreation” started life as a 1967 Ferrari 330 GT whose chassis was the donor for this project that began over 6 years ago at Jm Carpenter’s Italian Design & Racing shop in Tempe Arizona. Jim had built 2 other P4 Recreations prior to this one but this particular car was the first to utilize the Ferrari 550 Maranello V-12. Mated to a G50 Transaxle & managed by a Haltech Engine management system, this combination produces close to 500hp at the rear wheels. Needless to say it is an absolute beast to drive that provides the ultimate adrenaline rush from the time you first mash the throttle & until you try to let off!!! Nothing mild mannered about this streetable race car as it keeps you on your toes as any high strung thoroughbred does. A blast to drive & even better to look at!!! 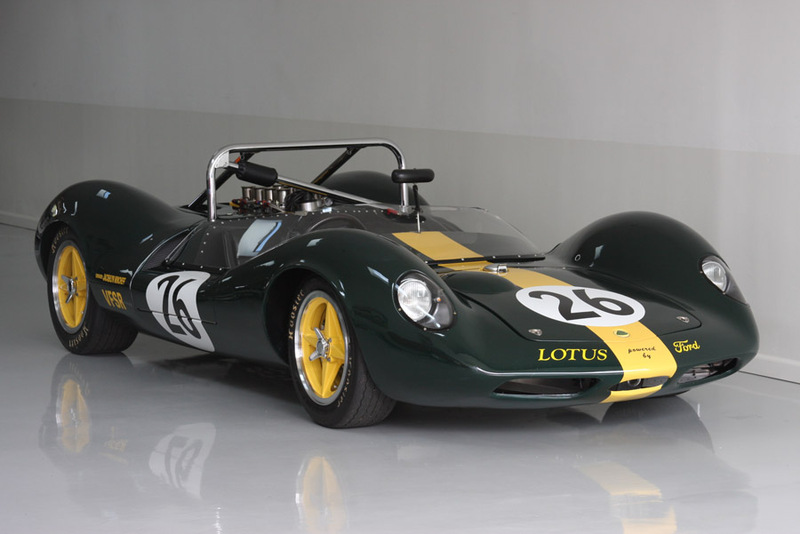 One of the most exciting cars in our collection is this 1964 Lotus 30 Sports Racer. Powered by a 500+ hp/289ci, dry sump Small Block Ford Racing Engine this extremely competitive Lotus 30 sports many of the Lotus 40 upgrades including brakes, wheels, suspension, Hewland LG 600 gearbox, cooling system & aero dynamic changes. There are only 2 of these cars being campaigned in the U.S. The sister car resides on the west coast, is often seen at the Monterey Historics. Our Lotus has recently done battle at NHIS, Lime Rock Park, Watkins Glen Palm Beach International & Sebring. It’s made the podium at Watkins Glen, 1st in class at Lime Rock, did over 100 laps at the Targa Sixty Six, competed twice at Indy appeared at the SVRA National Championship at COTA. The Lotus is completely fresh & ready to compete at any Vintage event. 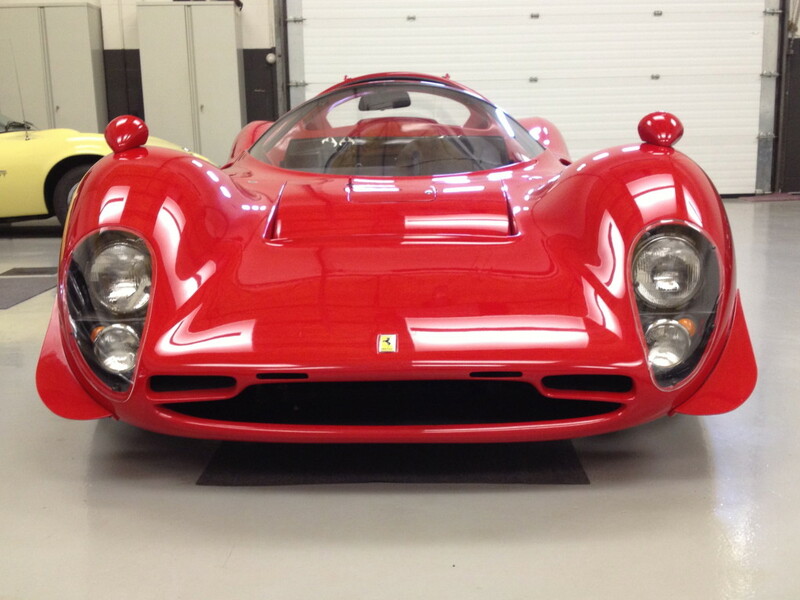 Here is an opportunity to own/race an extremely rare piece of automotive racing history!!! If you want a “RARE SURVIVOR” with pedigree & comprehensive one owner documentation, you must give SERIOUS consideration to this particular 1967 Firebird 400 Convertible. 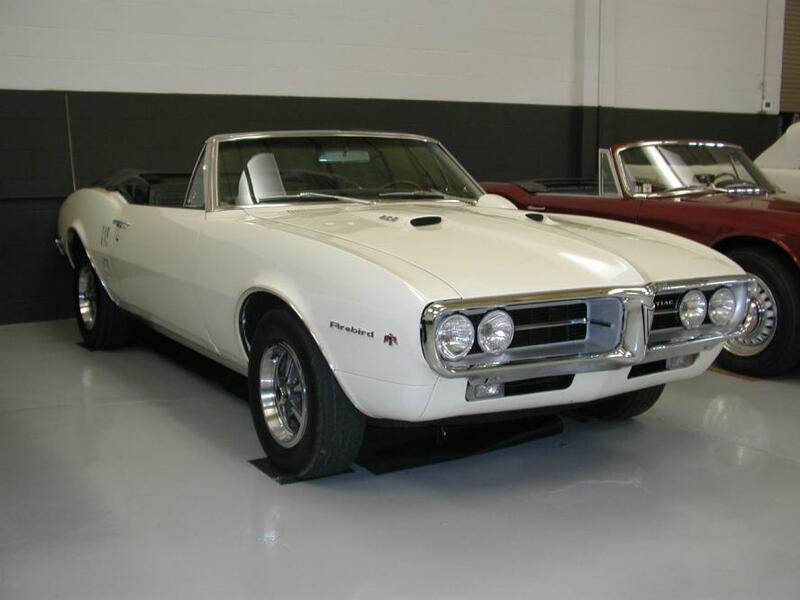 Only 3668 Firebird 400 Convertibles were produced in 1967 with less than 660 of them 4-speeds. Add to that the long list of factory options & I dare say, there may only be a handful like the one we have offered here. This car has been part of our personal collection since 1995 after having purshased it from the original owner’s son. The list of Factory ordered options are as follws: 400ci, 4-barrel, 4 speed, Safe-T-Track rear axle, power disc brakes, close ratio power steering, power windows, power top, factory air conditioning, optional koni shocks, ralley gauge cluster w/hood tach, full size spare & wheel, Ziebart rust proofing, & the list goes on & on & on… All of this is documented by the original Factory Order Sheet, original Dealer Window Sticker & the Pontiac Historical Society. We also have the original Owner’s Manual with the Protec-o-plate, the original 1967 Connecticut title which matches the Protect-o-plate & several vehicle registrations & insurance cards. The running gear is well cared for original, & extermely tight & reliable. The engine has never been out & only the timing chain, water pump & carburetor have been renewed or rebuilt. The clutch assembly was replaced less than 5k miles ago. This is truly “a get in it & drive it ANYWHERE” collector car!!! Showing it’s age, the paint was due for freshening so the body was stripped & refinished in the original Montego Cream color. Most of the chrome & bright work was in good order, just in need of polishing. The interior was & still is completely original & in incredible condition. This car has not been “over the top” restored or detailed in an effort to retain as much of the original patina as possible. As a matter of fact, most of the dirt under the hood was original!!! As you can see, the car “speaks volumes”. For the rest of the story or details we haven’t provided, please give us & call…we love talking about this car almost as much as we love driving it!! !